The Basketball Spotlight Clash For The Cup is drawing early interest. Here’s a look at the teams that have committed to this event. The Clash For The Cup will take place in January 26th and 27th in Neptune, NJ. Clash For The Cup Committed List! Mr. Spotlight (@bballspotlight) Presents the Teach Me Classic Phenom Players of the Day! Mr. 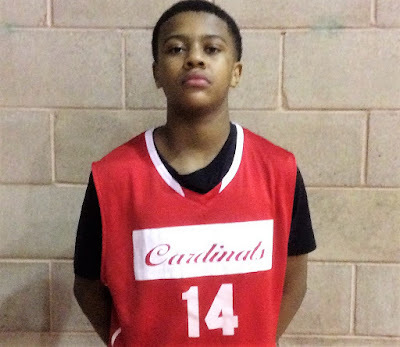 Spotlight (@bballspotlight) Presents the Teach Me Classic Phenom Players of the Day. This week we highlighted some of the up and coming Diaper Dandy's. Week 7 brings the talent out in droves. Players are comfortable in their roles and teams now know who their generals are! Preston Edmead @king.press (NY RENS) has a gem in this Diaper Dandy. He is the heart and soul of this young RENS 13U team. Modern day "Soul Controller". He knocked off Traind2Go and the last undefeated team in this bracket, PLAYTIME Elite. His speed with crafty ball handling is BARNONE! Breakdown: Mauro showed some advanced skills especially on this level. His power guard game comes with some flash, scoring, ball handling and court vision. He’s difficult to slow down when playing down hill. Check for him with the NJ Bulldogs. Breakdown: Hyman displayed his package which includes stroking the deep ball and handling the rock. He also has a strong build and the craftiness to hold off defenders while he’s making his moves. His basketball IQ was seen early and often. Breakdown: DeMara was a big-time defender and capable of guarding multiple positions. While most players only looked to show their offensive skills DeMara displayed his love for locking down opponents. This attitude should take him a long way on the basketball court. Tip Off Classic Highlights: Authur Harris Handling His Business! The Basketball Spotlight Tip Off Classic 6th Grade Division presented a new champion and some fresh faces. Here’s a look at Part 4 of our Top Performers. 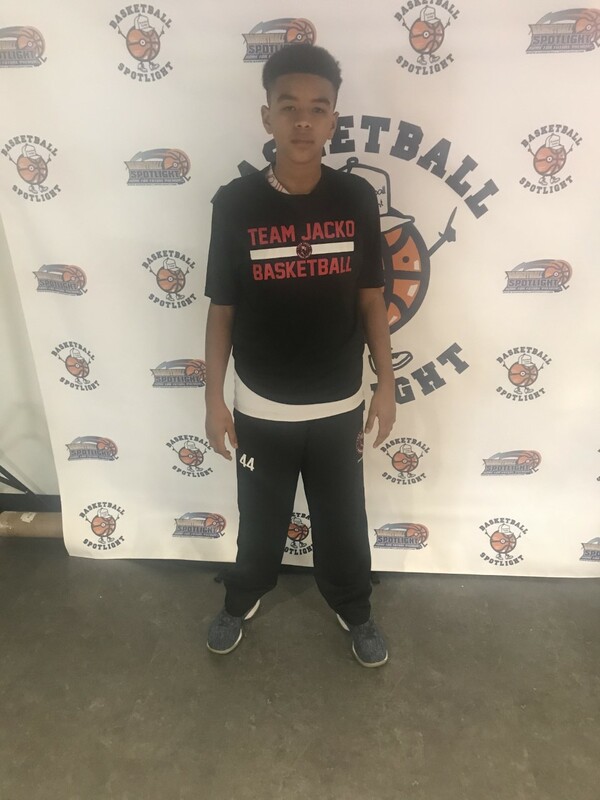 SHAREEF JACKSON FORWARD (TEAM JACKO)- THE BIG MAN OF TEAM JACKO WHO’S GROWN TO ABOUT 6’4/ 6’4.5 THE SON OF 13 YEAR PROFESSIONAL BASKETBALL PLAYER MARC JACKSON ... AND JUST LIKE HIS FATHER HE’S A WIDE LOAD AND HARD TO DEAL WITH ON THE BLOCK ... STILL RAW THE YOUNGER JACKSON HAS GOOD FEET AND A SOFT TOUCH AROUND THE BASKET. ONCE HE GROWS INTO HIS BODY, HE WILL BE HARD TO DEAL WITH IN THAT PAINT. The Basketball Spotlight Tip Off Classic 6th Grade Division presented a new champion and some fresh faces. Here’s a look at Part 3 of our Top Performers. KARON WILKINS GUARD (ELM CITY ELITE)- STRONG UPPER BODY ... VERY NICE 3PT / THIS KID MADE HIS PRESENCE KNOWN THROUGHOUT THE WEEKEND WITH BIG SHOT AFTER BIG SHOT. PLAYING ALL 5 POSITIONS AND ALMOST NEVER COMING OUT OF THE GAME. HE DISPLAYED THE HEART AND DETERMINATION THAT LEADS TEAMS TO BANNERS. VERY WELL MAYBE THE BEST 1 OR 2 PLAYERS IN THE 6TH GRADE CLASS THIS WEEKEND. Tip Off Classic Highlights: Tahaad Pettiford Coming Up Big! Tip Off Classic Highlights: Terrell Pitts Flying High At Tip Off Classic! Terrell Pitts taking flight at the Tip Off Classic! The Basketball Spotlight Tip Off Classic 6th Grade Division presented a new champion and some fresh faces. Here’s a look at Part 2 of our Top Performers. CHIDI NWIGWE GUARD (CRUSADERS) - LONG ATHLETIC AND SUPER RANGY DEFENDER WHO USES WING SPAN TO LIVE IN THE PASSING LANES .... UNDERSTANDS BODY CONTROL AT SUCH AN EARLY AGE ... HE ALREADY SEEKS BODY CONTACT CAUSE HE KNOWS THAT HE’S PHYSICALLY SUPERIOR AND WANTS TO ABSORB THE SMALLER PLAYERS BUMP TO DRAW THE FOULS PLUS THE BASKET ... THIS KID PLAYS ALL 5 POSITIONS AND MADE THE BIGGEST SHOT OF THE WEEKEND SENDING HIS CRUSADER TEAM INTO OT AGAINST THE GAUCHOS WITH A BEYOND HALF COURT HEAV THAT SENT THE GYM INTO PANDEMONIUM (1 OR 1A FOR BEST PLAYER IN 6TH GRADE THIS WEEKEND). The Basketball Spotlight Tip Off Classic 6th Grade Division presented a new champion and some fresh faces. Here’s a look at Part 1 of our Top Performers. Hao Chen Forward (Black Ops)- Chen presence was a problem on both ends. On defense he clogged the lane and controlled the glass. On offense he was able to score inside and makes trips to the charity stripe all game. But we really caught our eye was the big guys court vision. He made the extra pass and a few no look dimes also. He finished with a game high 15 points in the championship win. Tip Off Classic Highlights: Jayden Reid Getting Buckets! Tip Off Classic Highlights: Chauncey Presley Putting In Work! Tip Off Classic Highlights: Mo Mo McKnight Making It Happen! The Basketball Spotlight Tip Off Classic 7th Grade Division had some fierce battles. Here’s Part 2 of our top performers. 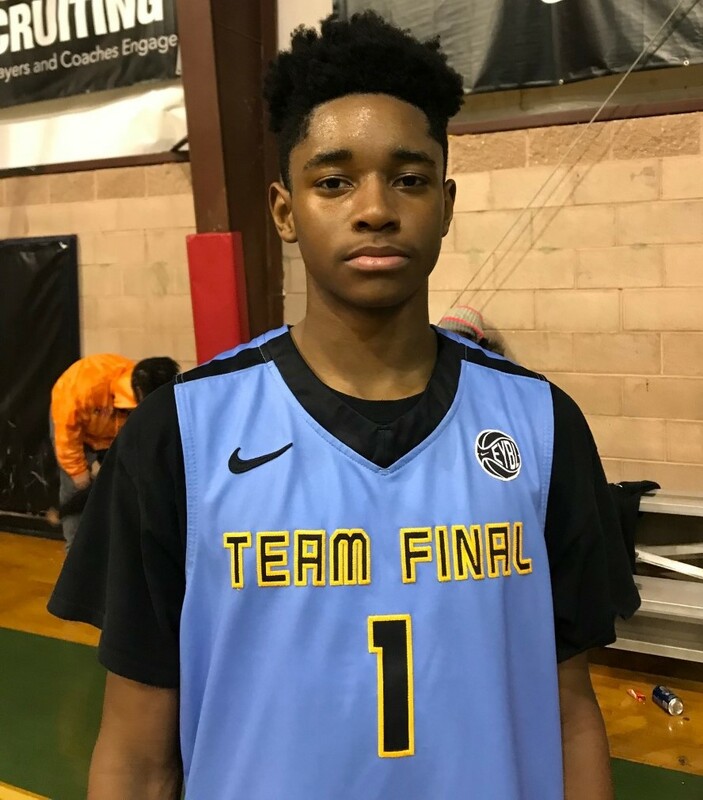 Ahmad Nowell Guard (Team Final/Fidonce)- The scoring guard has long arms and finishing ability beyond his years. 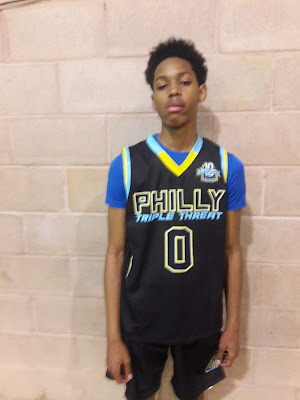 His best game of the weekend came in the semifinal showdown versus eventual champion Team Thrill. Nowell chipped the Maryland based squad for 22 markers. Most of his buckets come from half court drives and flourishing in transition. He’s one of the highly touted players in the country. Tip Off Classic Highlights: Will Norman Punishing Defenders! The Basketball Spotlight Tip Off Classic 7th Grade Division had some fierce battles. Here’s Part 1 of our top performers. 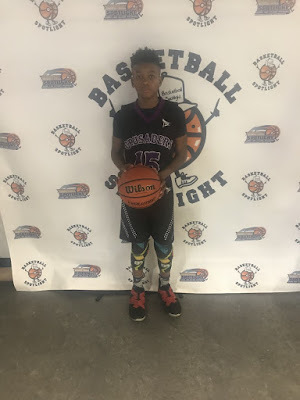 Derik Queen Forward (Team Thrill)- Queen was perhaps the best prospect in the building for the Class of 2024. Standing at least 6’6 the forward handles the rock and not magic Johnson style but facing defenders and getting rid of them. He also has good touch and all three levels. Finally, he sees the floor well and is a constant playmaker. 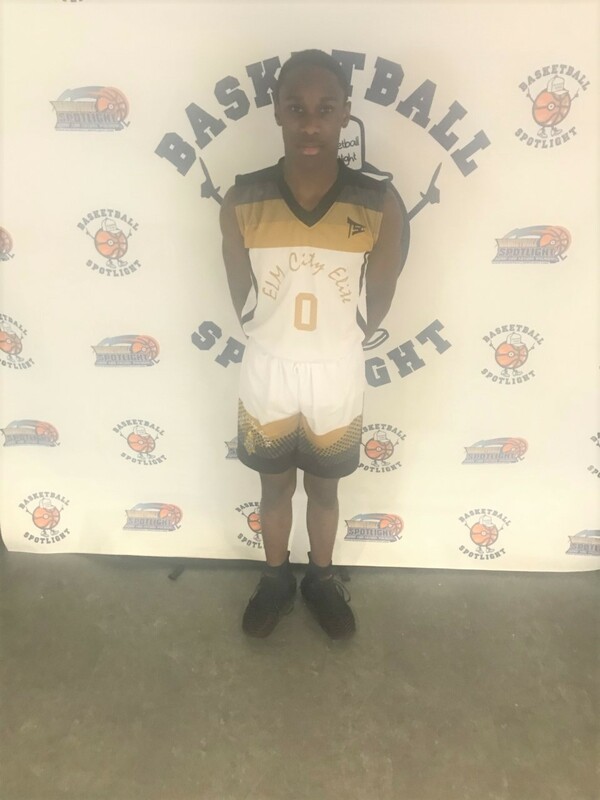 The Basketball Spotlight Tip Off Classic 8th Grade Division featured some of the top talent in the region. Here’s Part 5 of our Top Performers. Simeon Wilcher Guard (PSA Cardinals)-Wilcher is incredible guard that can attack the rim with ease. Sims ability to finish at all three levels is incredible. He was probably one of the best finishers we saw this past weekend. He knows how to play all the angles on the court and put his teammates in easy scoring positions. 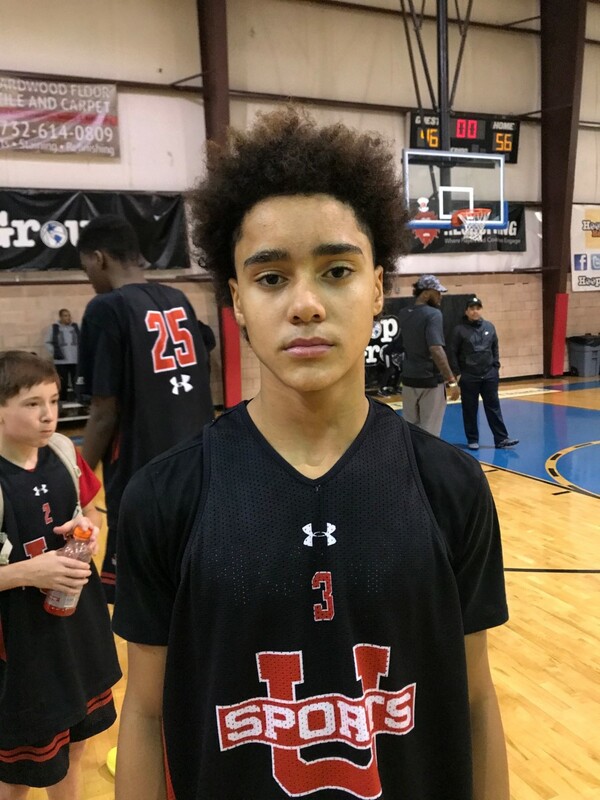 The Basketball Spotlight Tip Off Classic 8th Grade Division featured some of the top talent in the region. Here’s Part 4 of our Top Performers. 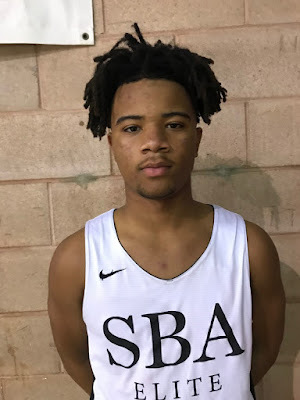 Issac Hester Guard (SBA Elite)-Hester showed why he is probably one of the best lead guards in the country. Hester has a great knack of reading the defense and making the right play on the court. He has a really good jump shot form three that he knocks down consistently. He hit over the 20 point mark per game for the entire weekend. Issac should have a great season this year. 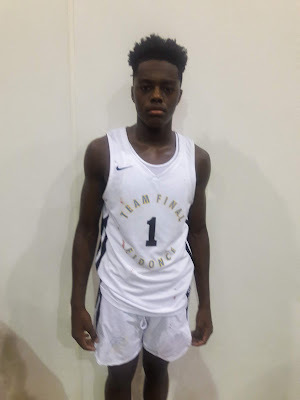 Ahmad Nowell turning up at Tip Off Classic! 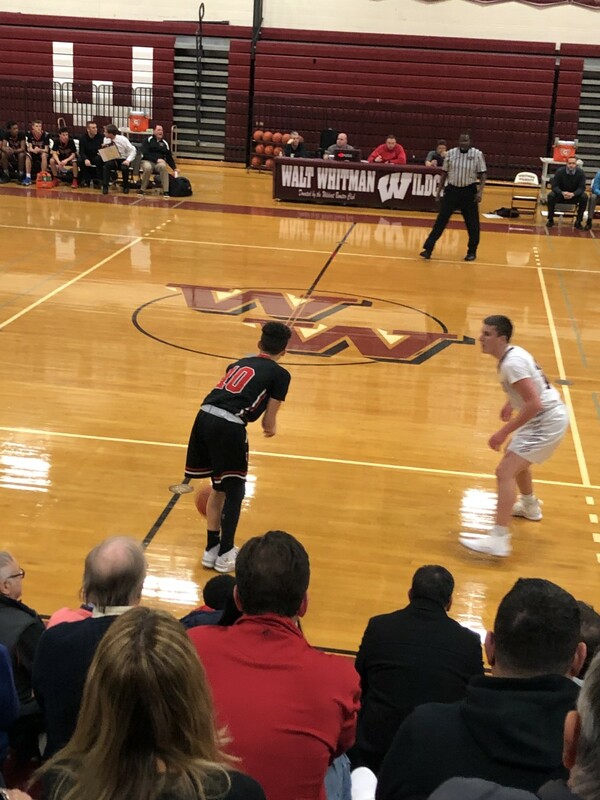 The Basketball Spotlight Tip Off Classic 8th Grade Division featured some of the top talent in the region. Here’s Part 3 of our Top Performers. Rahmir Barno Guard (Philly Triple Threat)- Barno is becoming a complete guard that can get to any spot on the floor. We like the intelligence that he plays with. Barnes has the natural ability to put his teammates in the right position; He is true leader on the court. Barnes can also get to the rim and finish through contact. He has a nice stroke from three that he consistently knocks down in big situations. 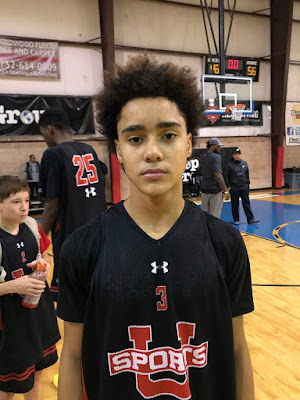 The Basketball Spotlight Tip Off Classic 8th Grade Division featured some of the top talent in the region. Here’s Part 2 of our Top Performers. Elliot Cadeau Guard (Team Izod)- Elliot is becoming a true floor general. Cadeau has a gritty toughness about him that we really like. He has improved his jump shot a lot; now has he the ability to attack the rim or pull up from mid-range. Cadeau is also a very tough defender that seems to enjoy that side of the ball. He has become more athletic and is finishing through contact at the rim. Elliot is becoming another tough New Jersey guard. The Basketball Spotlight Tip Off Classic 8th Grade Division featured some of the top talent in the region. Here’s Part 1 of our Top Performers. Sebastian Robinson Guard (Team Final)-Robinson is the silent assassin on Team Final. Robinson usually does not show a lot of emotions on the court but he always plays at a high level.. 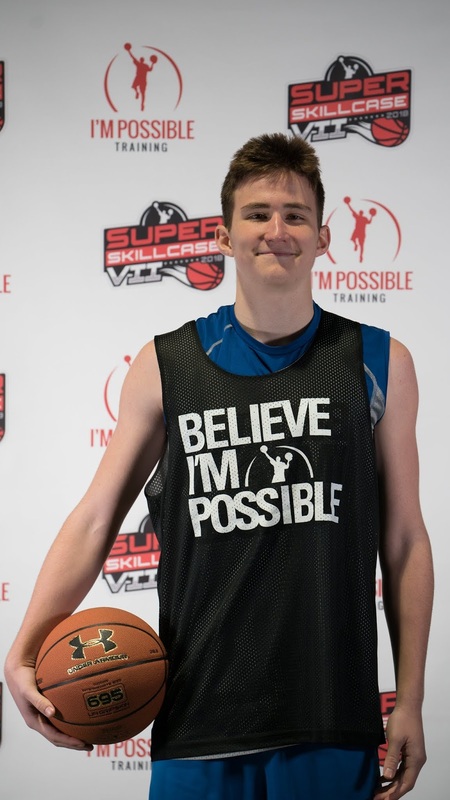 He can score from all three levels on court and showed it in the championship game. Robinson was able to score 20 pts while shooting perfect from the floor and the foul line. 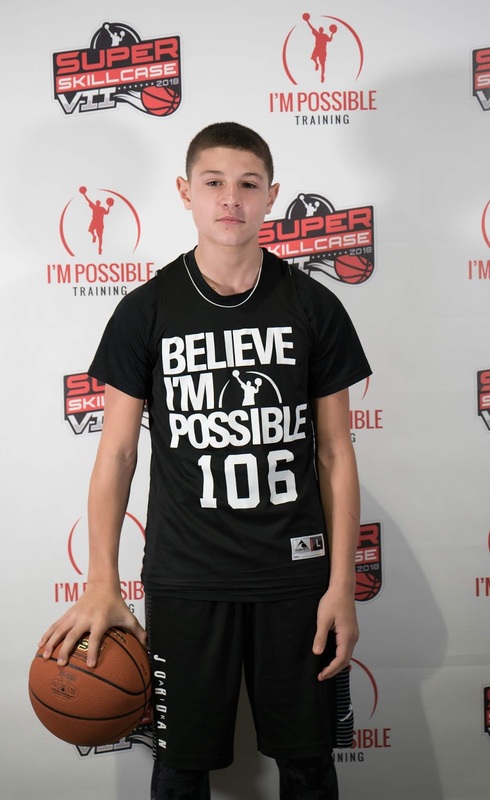 Sebastian showed why he’s one of the top guards in the class of 2023. 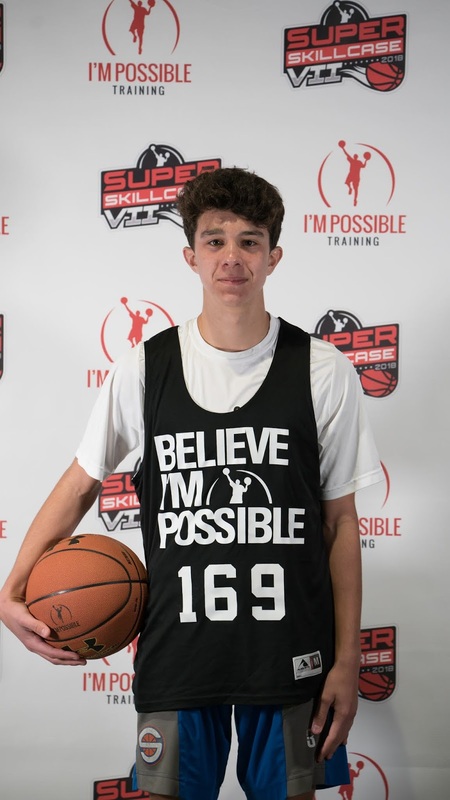 His ability to attack the rim and finish is one of the best we have seen; his improved jump shot allows him to knockdown three pointers at a high percentage. Tip Off Classic Highlights: Kalik Sharpe Explodes! Tip Off Classic Highlights: Akil Watson Showing His Smoothness! Tip Off Classic Highlights: Elliot Cadeau Operating!